There are few cities in the US as exclusive and luxurious as Beverly Hills. 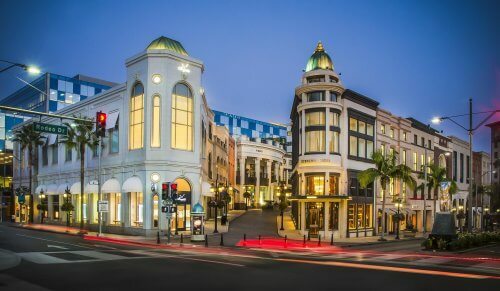 The walkable city has a lot to boast about, from its iconic five-star accommodation – such as the historic Beverly Hills Hotel and celebrity favorite, Montage Beverly Hills – to world-famous restaurants headed by superstar chefs. 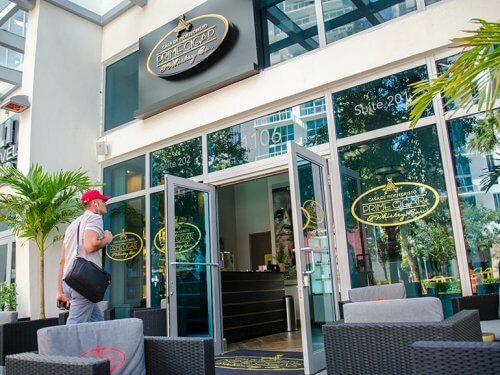 But it is the cigars that are enticing a new generation of passionados to head to the original home of Hollywood glitz and glamour. The first stop is Kramer’s Pipe & Tobacco Shop, which has been blending tobacco by hand and by the pound (not by the barrel) to individual tastes for over seven decades. Since it opened in 1949, Hollywood “royalty” and loyal regulars have returned to the shop time and time again to purchase its popular specialty blends. 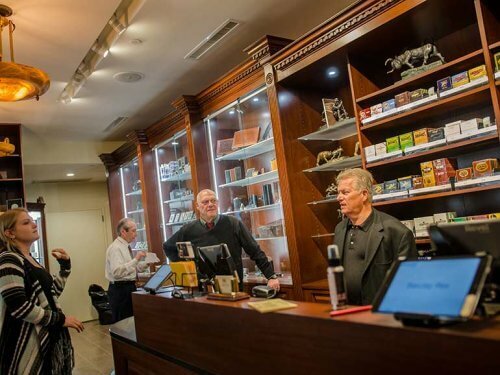 Just off the city’s iconic Rodeo Drive, Kramer’s continues to provide a unique product as well as personalized service to those visiting. 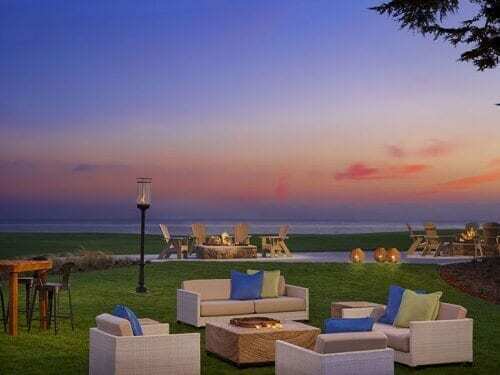 The shop was established by Allen and Tina Kramer, who fell in love with California’s weather while visiting on vacation and decided to make the Golden State their new home. Through the years, Allen had offers to expand to a second store and to massproduce his private tobacco blends. He chose to stay small and ensure that every pound of his tobacco blends had the correct proportions. Today the Kramers’ daughter, Marsha, and her husband, Jim Keller, continue the rare tradition of a small family owned and operated business. Just a five-minute walk from Kramer’s is the Buena Vista Cigar Club. As soon as you step through the door, you notice you are some- where special in Beverly Hills. The distinctive environment offers an extraordinary variety of carefully selected tobacco products, with a team on hand ready to choose a cigar that suits the visitor’s preferred taste. For those seeking more privacy, an intimate upstairs area has comfortable seating on which to sit back and enjoy. 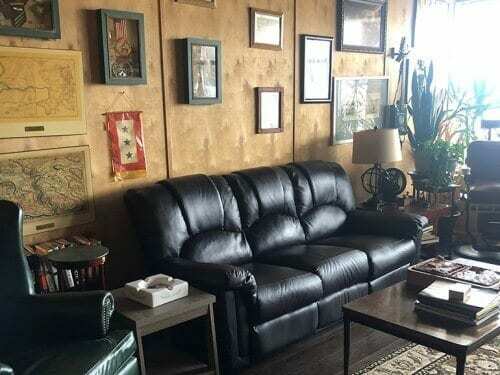 Owner Rigo Fernandez has a true passion for cigars and has bestowed this gentleman’s club-style lounge with a rustic aesthetic that has character and charm. 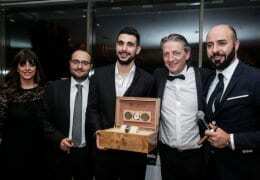 Despite the décor, Rigo has noticed that it is not just gentlemen who are taking the opportunity to enjoy a good cigar: “During the last year we have seen younger people, some in their mid-twenties, coming in for the experience – and that includes women.” This developing demographic has made an impact on sales. “2016 was the best year for us since we started back in 2000, and the trend continues as we speak. Contrary to conventional wisdom, our regular clientele represents 20 percent of visits, with the number of newcomers increasing by the day,” says Fernandez. Next on the list is a more exclusive affair on the corner of Dayton Way and Canon Drive. A visit to the members-only Grand Havana Room, which opened in 1995 and is the flagship location (there is another Grand Havana Room in New York City), offers a taste of the highest standard of cigars available in the city. Every element of the Grand Havana Room has been designed for the explicit purpose of maximizing the enjoyment of the cigar smoker.